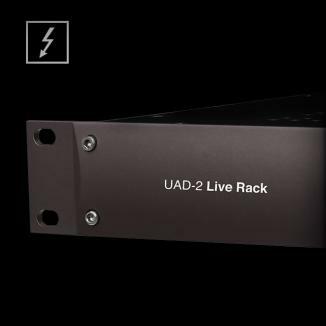 See the Thunderbolt Multi-Unit Cascading article for specific instructions on how to connect and use two or more Apollo units together via Thunderbolt. 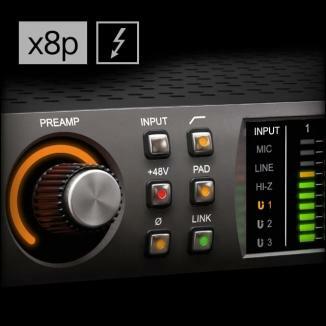 On Mac computers, the type of device port can be determined by the icon next to the port. 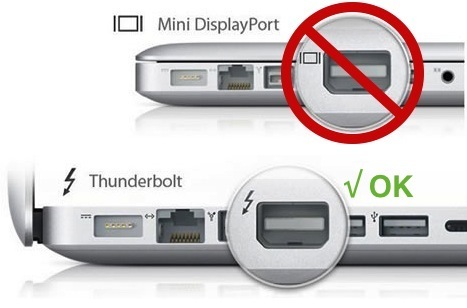 Thunderbolt ports have a "lightning bolt" icon, while Mini DisplayPort ports have a "display" icon. 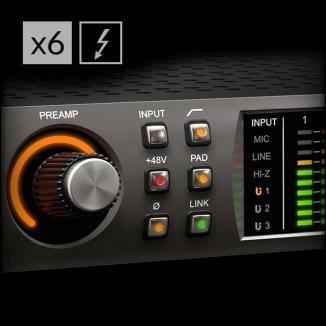 The difference between these ports and icons is shown in the illustration below. 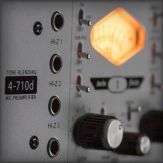 Note: All Apollo models with FireWire ports ship with FireWire firmware from the factory so they can be connected and used with FireWire computers that do not have Thunderbolt ports. 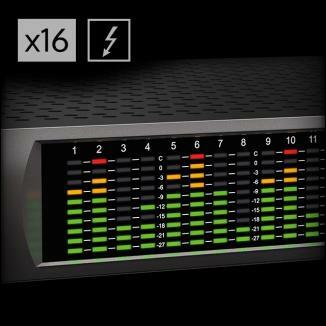 Be sure to install the latest UAD Software and firmware to enable the latest Thunderbolt features and functionality. 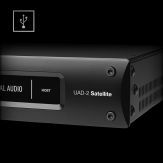 Apollo's firmware determines whether the system operates in Thunderbolt mode (PCIe audio drivers), or FireWire mode (FireWire audio drivers). 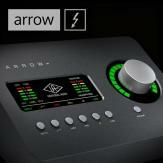 Apollo firmware is contained within the UAD Powered Plug-Ins software installer. 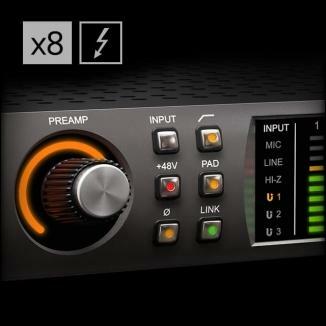 To update Apollo to Thunderbolt firmware using UAD v9.0.0 and later, connect Apollo to the computer via Thunderbolt and click "Load" when prompted by the UAD software. 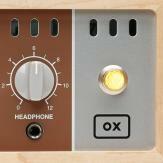 Follow the onscreen instructions to complete the process. 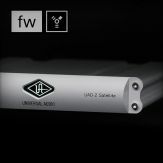 Important: To re-enable FireWire functionality on Apollo models with FireWire ports, the Apollo firmware must be downgraded, and this firmware downgrade must be performed while connected via Thunderbolt. 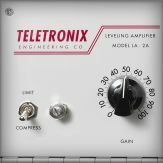 See "Reverting to FireWire connectivity" below for details. 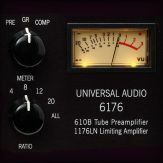 Reverting Apollo to FireWire connectivity is simplified under UAD v9.0.0 and later. 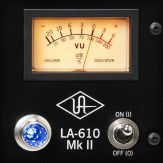 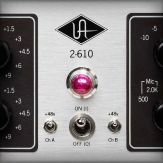 For details, see "Revert to FireWire connectivity..." in the UAD Meter & Control Panel section of the UAD System Manual. 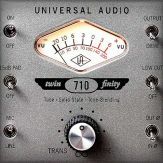 For help reverting Apollo to FireWire connectivity under UAD v8.7 and below, see this article. 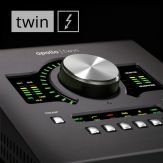 Apollos equipped with the original Thunderbolt Option Card, and the newer Thunderbolt 2 Option Card, can be connected to Macs that have Thunderbolt 1 or Thunderbolt 2 ports. 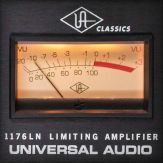 For information about Universal Audio compatibility with the Mac Pro (Late 2013), click here.